We've reviewed all of the small multi tools on the market and have found that the Gerber Suspension Multi Plier is the best on the market. It is highly rated with over a thousand reviews on Amazon. It is fairly priced and has 12 integrated components. We highly recommend checking it out! The small multi-tool keychain gadgets, built for bike riders and survivalists are very convenient pieces of equipment to carry around. Although these were built with the intention of helping riders to swiftly deal with emergencies during a bike ride, their applications reach far beyond the bike rider community. Any of these gadgets is a super compact full-sized toolkit that is easy to carry, use, and even share. Some of these gadgets are made of very strong metals and thanks to their small size, these are almost indestructible. In addition, the gadgets mentioned here come in corrosive resistant types, a variety of colors, shapes, and sizes, all in a bid to meet everyone's need. If you are in the market in search of the ideal small multi tool keychain for bike riders and survivalists, look for the one made of hardened stainless steel. The above is because hardened stainless steel gadgets resist corrosion and are environmentally friendly. In areas where the difference in hot and cold temperature is so pronounced, stainless steel might appear to corrode if you do not keep it dry and properly oiled. The best multi tool key chains in the market are durable, light in weight, small in size, resistant to rust, has many relevant tools, and is practical in all aspects. The EDC Gadget 10 in 1 Multi Bicycle Repair Tool Outdoor Keychain Screwdriver is the ideal survival tool that everyone should own. This gadget comes complete with 3, 4, 5, 6, and 7 mm Allen screwdrivers, a stainless steel key ring, Philips, Slotted, T10 Torx, and Hex Screwdrivers, and a bottle opener. The above gadget is lightweight, durable, and acts as a very useful self-defense tool. The Reductivist Ringtool Compact Multi-Tool Keychain is the ideal tool for a biker these days, thanks to the amazing features it carries. With this tool, you have a key chain, a bottle-cap opener, five different sizes of Hexhead drivers, a Phillips driver, and spoke wrenches. This stainless steel multi-tool keychain is extremely useful and easily portable. This CAMTOA Multi-Tool Keychain EDC Bike Repair Kit Torx Set Repair Tools Outdoor Keychain Screwdriver is more useful than its name suggests. This gadget is lightweight, durable, and can double up as a self-defense finger-wearing tool. Outdoor survivalists, campers, and cyclists need to have such a gadget at all times. As the name suggests, the Happu-store(TM) EDC Stainless Steel Multi Tool Bicycle Bike Repair Screwdriver Opener Keychain is made of Stainless Steel and it has numerous useful functions. This tool is small, has a separate head screwdriver, a key ring, and an Octopus multi tool screwdriver. Just like other key chains, this gadget can also be a self-defense tool. People who love the outdoors such as campers and cyclists will love the VERANY 10 in 1 Multi Bicycle Repair Tools Outdoor Keychain Screwdriver because the gadget is light, practical, durable, and ideal for surviving in the wild. Furthermore, an individual can wear the gadget on his or her finger for it to become a self-defense tool. The gadget has Multi tool screwdrivers, an Allen and Flat/Hex screwdriver, and a key ring. The Octopus bottle opener outdoor multi-function tool is a new product on Amazon.com that has a lot to offer. This gadget comes with a bike spokes adjustor, a key ring, and a 12-function screwdriver. Furthermore, its small size makes it practical, it is easy to carry it, it is durable, and has a variety of screw heads. If you are looking for the best small multi tool keychain for bike and survival, get one that is light, and convenient to carry. 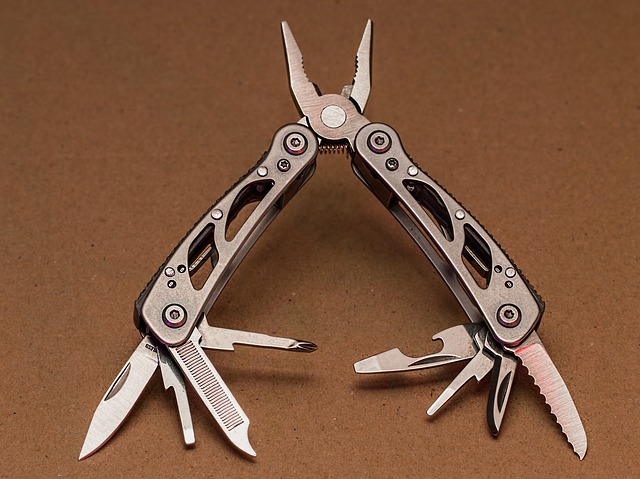 The ideal multi tool keychain has several screwdrivers, a bottle opener, spoke wrenches, a key ring, and it can easily and readily act as a self-defense tool.